Do You Lose Your Parental Rights If You Move Out Of State? Home / Articles / Do You Lose Your Parental Rights If You Move Out Of State? My wife and I are in the process of a divorce, though she has moved out of state and left our children to live with me. Because my wife moved away, does she still have the same parental rights and custody chances that I have? I am unable to give you legal advice on divorce. I can give general divorce help for men, though, my knowledge is based on Pennsylvania divorce and child custody laws where I am licensed to practice. Until such time as a custody order is entered with the court, it is presumed that both parents have equal rights to a child, both physical and legal custody. This means that each parent can spend as much time as they wish with the child and must make all major decisions with regard to the child’s health, safety, and welfare together. In determining a custody award, the paramount concern is what is in the child’s best interest. The court will take into consideration many factors when determining what is in the child’s best interest. The factors include such things as what parent will promote an ongoing and healthy relationship with the non-custodial parent, who has been the primary caretaker of the child, how far apart (distance) are the parent’s residing from one another and, dependent upon the child’s age, what the child would want in terms of a custody schedule. Typically, a parent’s rights to custody of their child will not be terminated unless the court finds that the child’s safety would be in danger if the parent has custodial time or unless the parent voluntarily terminates their rights. Again, until such time as a court order is entered, each parent has equal rights to the child. In order to determine what each parent’s custodial rights are, both physically and legally, it is important to obtain a court order. When a court order is entered, it can be very detailed, thus there would be no question about who has parenting time on any given day. Typically, when parents live geographically far from one another a shared custody schedule is very difficult, if not impossible, to implement. The courts will usually look to alternative custody schedules, such as giving the parent who lives far away more time during non-school time (i.e. summer breaks and holiday breaks). However, if one parent does not want to have any custodial rights, the courts can order that the parent who does want to retain custody rights be given sole physical and legal custody. This means that the parent retaining custody rights would have the child 100% of the time and would be allowed to make all the decisions for the child without consulting the other parent. 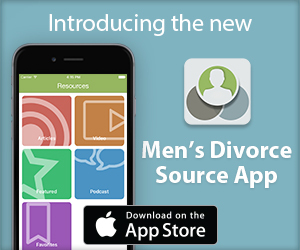 Remember, I am unable to provide you with anything more than divorce tips for men, so please consult with divorce lawyers for men in your jurisdiction. 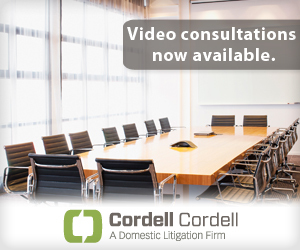 To arrange an initial consultation to discuss divorce rights for men with a Cordell & Cordell attorney, including Philadelphia Divorce Lawyer Caroline J. Thompson, contact Cordell & Cordell.